When shopping for ecologically friendly basement flooring, you have to consider the unique requirements of your installation location. Below grade environments often suffer from flooding, and high humidity issues, necessitating materials that are moisture and mold resistant. 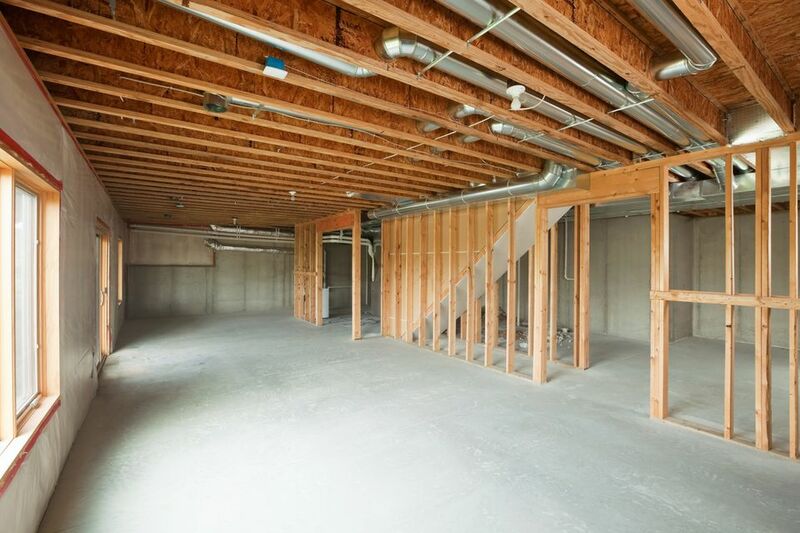 Concrete is the natural flooring surface found in basements because houses are built on top of giant concrete slabs. In its natural, untreated state, this can be unique, if dull and industrial looking basement flooring option. However, there are numerous staining and color treatments available, as well as polishing and design options that can make concrete look great in below-grade spaces. The best thing about using concrete as the floor surface is that no additional materials will be required. You might need to use some chemicals to treat the appearance of the floor, but there are no new flooring materials being brought in, and the concrete will last indefinitely eliminating 100% of the waste from the project. Made from the sap of the rubber tree, natural rubber is a completely renewable resource that makes a durable, waterproof flooring which is great for basements. Recycled rubber is even more environmentally friendly as it is created from old car tiles, which are pulled out of landfills and given functional life again. At the same time, it shares the durability, moisture resistance, and mold resistance that natural rubber has. Ceramic flooring is made from mostly natural clay and sediment materials that are all readily available and can be broken back down into the environment after their functional use. In their raw state, they are very absorbent, making them vulnerable to all of the dangers in a basement. A melted glass glaze applied to the tile during manufacture can create a waterproof seal over the ceramic, protecting it from moisture and stains. Natural stone refers to a variety of materials, all of which are very hard, solid, and durable. At the same time, they are also absorbent, making them vulnerable to the dangers presented by a basement. This can be overcome by the regular application of stone sealer to the surface of the tiles, and the installation of a water barrier layer underneath the stone. Brick is similar to ceramics in that it is made mostly from clay and natural sediments baked and fired hard. It is environmentally friendly and easily incorporates back into the natural environment when disposed of. Unfortunately, it also has problems with absorbency and can end up being a hotbed for mold in a basement. Sealing regularly can offset this to some extent, and a water barrier layer should be placed beneath any below grade brick flooring installation.